Chris Brown released two version of "Loyal" an East Coast version featuring Lil Wayne & French Montana (iTunes) and a West Coast version featuring Lil Wayne & Too $hort (iTunes). So which version did he chose to go with in the video? The answer is none! The video features Tyga who was not on any of the previous versions of the song. 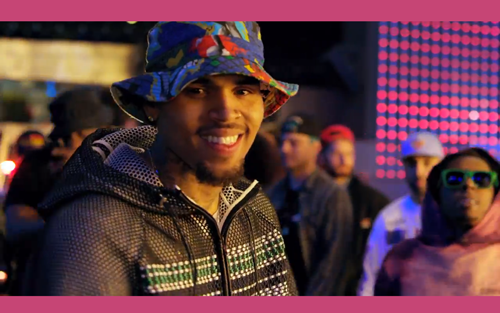 How many Rnb stars can you spot in the video, there's quite a few!